Sounds like they're too busy to fit it in, basically. 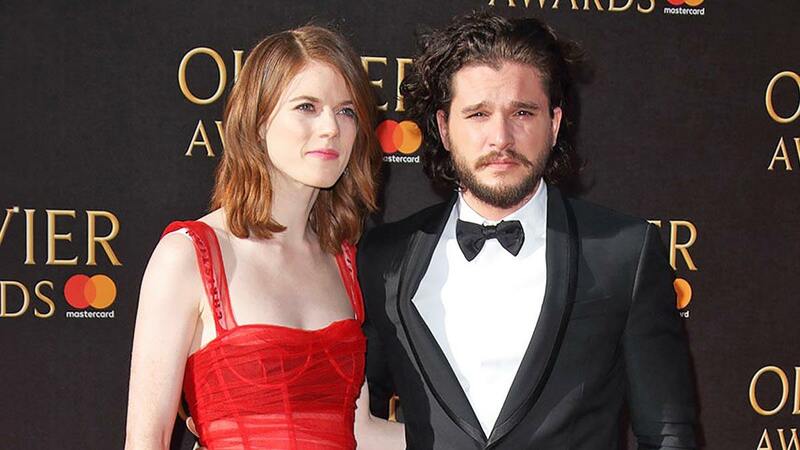 Game of Thrones' Kit Harington got down on one knee and proposed to Rose Leslie in October 2017, but the actress says they're far too busy to even begin planning their wedding right now. The pair met on GoT in 2012 when their fictional counterparts Jon Snow and Wildling Ygritte fell in love on screen, before they later confirmed they were dating in real life, too. Following their engagement, Kit revealed in an interview on The Jonathan Ross Show that he had actually fumbled the engagement, and proposed earlier than expected because the moment felt right. "I did have some plans to do it, I was going to string up some lights in some trees and do all the romantic stuff," Kit said of his initial proposal plans, before adding that the day before his chosen day, "...we were in the country and we were under this beautiful night sky and had a log fire burning and red wine, and I blew my load early." While the couple has been relatively quiet since the engagement, Rose dished in February's Town & Country that because their work schedules are so hectic, she and Kit haven't even started to tackle wedding plans. "I’m trying to fit in my wedding," said of her busy calendar. "I haven't tackled [wedding plans]. There's just too much to do."